With an introduction and daily online commentary from Alpha founder Nicky Gumbel, reading the Alpha Bible In One Year is designed to be a community experience that will inspire and equip you in building lifelong faith on firm foundations. Millions of people around the world have benefited from the Alpha course, a ten week practical introduction to the Christian faith. The course, which is run in all the main Christian denominations, offers an opportunity to explore the meaning of life in an informal and relaxed setting. 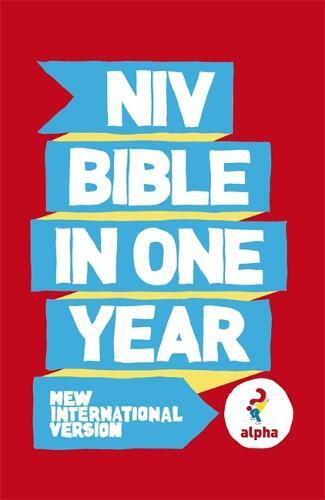 The NIV is the world's most popular Bible in modern English. It is widely regarded as the most readable and accurate translation available.